Let’s take a look at our review of the Hathaway Playoff Foosball Table and see whether it’s worth it (is it any good?) or if you should take a pass. 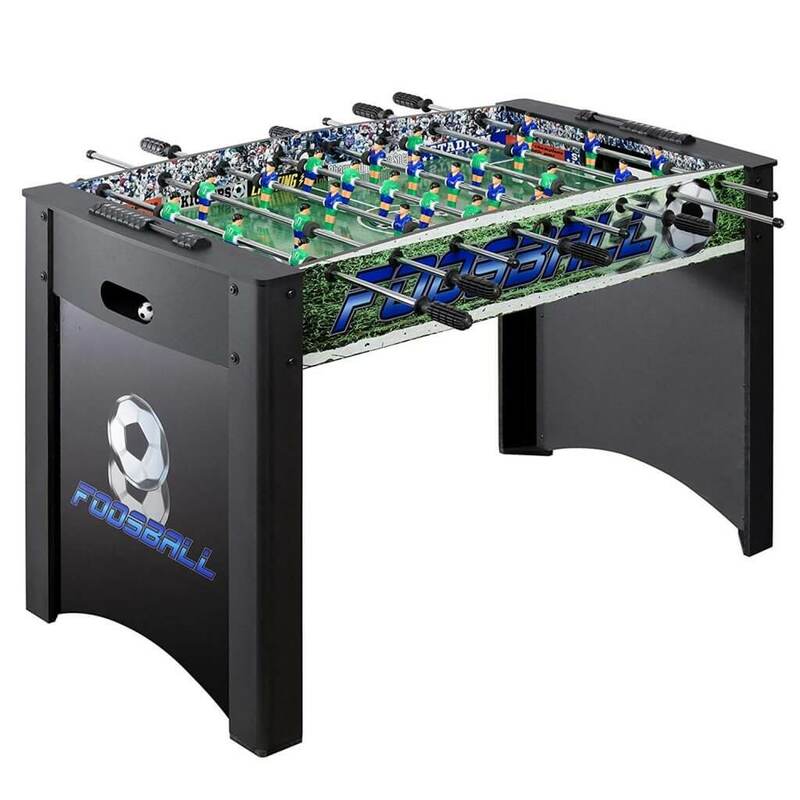 We actually rated this as one of our top 4 best foosball tables for kids, though it didn’t make it onto our top 15 best foosball table list. Anyway, let’s see what this table is all about! This beloved 4 foot table from Hathaway is one of the best for kids. It’s bright, it’s fun, it’s super lightweight and easy to assemble. If you want something that is a lot more colorful and “sporty” looking than your average wooden table, this could be a good find, especially considering that despite it’s low price, it’s loved by owners and lasts a fair bit of time. The Hathaway Playoff is fairly well made for being so small and having few features, and delivers some pretty good game play, especially for children. It’s just 4 feet long and shorter than a full sized table, so it’s great for kids of all ages. This is a pretty popular low-end table that is perfect for kids, while still being alright for adults to join them once in awhile. It’s lightweight and easy to move around, and it doesn’t take up much room to begin with. Fantastic, budget-friendly way of getting your kids into the game!